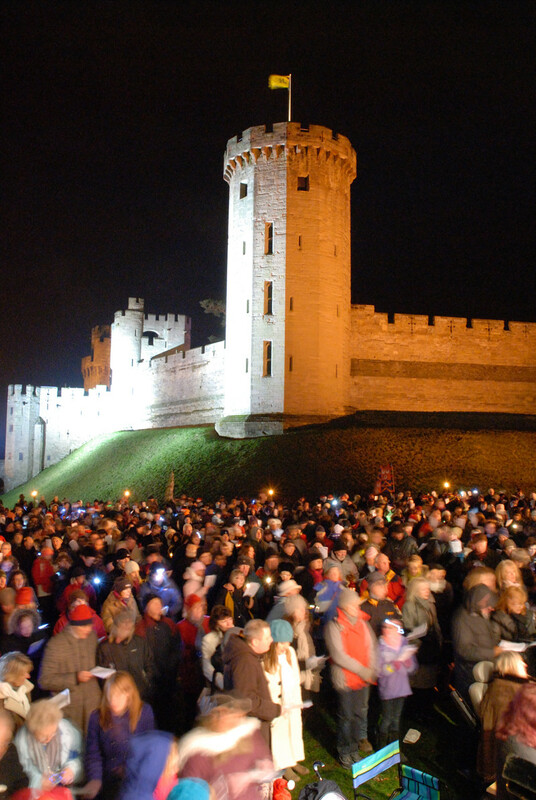 Tickets for Carols at Warwick Castle 2018 are now available, Carols at Warwick Castle welcome you to our site. The Carols are held annually in the run up to Christmas and are for many people the start of their Christmas festivities. Make it the start of yours by purchasing your ticket today. We thank you all for your ticket purchases as all the proceeds go to local charities and other causes. Don’t miss out on hearing Warwick’s very own excellent choir of St Mary’s with the exceptionally talented Royal Spa Brass and importantly your family and friends. Tickets are just £6.50 for Adults and £2.00 for Children. We would like to thank organisers: The Warwick Lions, Rotary Club, the Friends of St Mary’s Choir and Merlin’s Magic wand for all their hard work for making this event happen. We would also like to thank Warwick Castle for providing us with Warwick’s most iconic venue and many of their wonderful services free of charge.